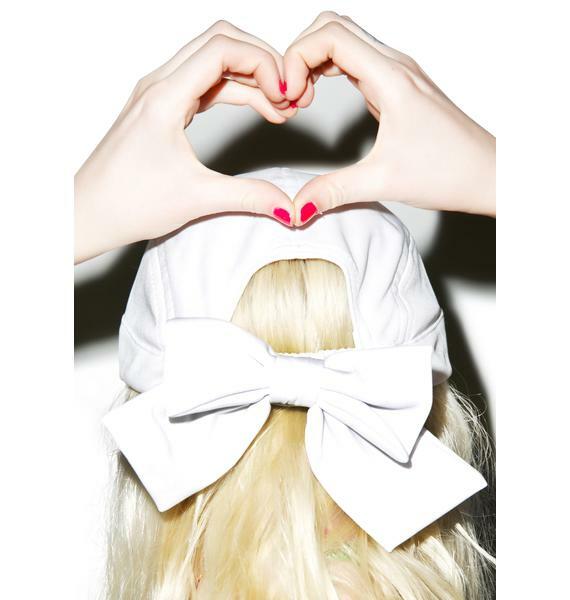 Joyrich X GIZA Tennis Ribbon Cap yer ready to serve n' smash it, BBcakes! Get yer sporty spice on with this awesome cap, featurin a special collab with GIZA. This soft cap wants to meet you by the net with its kawaii embroidery of a babe slaying her set, complete with a huge racket and text reading GIZA TENNIS CLUB. This delicate hat has a gartered back band to always have the perf fit. Complete with a supa cute ribbon in the back, rest assured youve got nothing but love from us.